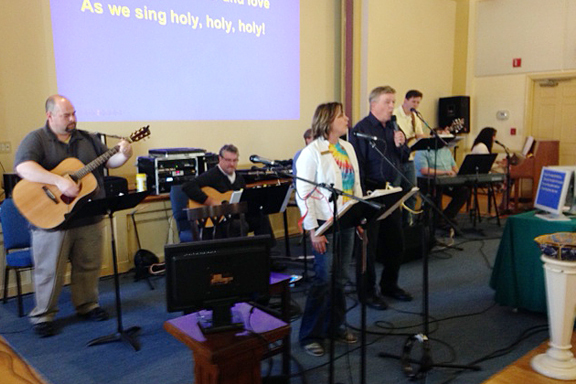 The SonSpirit Band is the ensemble that leads worship at the 11:00 a.m. contemporary service (SonSpirit). The band typically comprises guitars, keyboards, rhythm section (electronic drum set and electric bass), and vocal leaders. Band members practice once a week for the following Sunday’s worship service. We are always looking for vocalists and instrumentalists who want to take part in the band. Contact us and ask about participating in the ensemble.